Although there are many rifles on the market today, Bergara wanted to focus on one thing: quality. The B-14 rifles were inspired by the desire to bring the quality that Bergara was known for in the custom rifle world to production rifles made for all hunters. In the B-14 rifle, you will find a level of craftsmanship that surpasses all of the other production hunting rifles on the market. The B-14 Hunter rifle features a molded synthetic stock made of glass fiber reinforced polymer. As with the entire B-14 Series, the Hunter brings Bergara Barrel accuracy to a line of hunting rifles that is affordable to serious big-game hunters. Built in Spain at Bergara highly automated and efficient barrel factory, this rifle delivers a level of quality and performance that is unmatched in its price range. The world-renowned Bergara barrel on this long range precision rifle is complemented by their own super-smooth B-14 Action, which is a two-lug system with a sliding plate extractor and a coned bolt nose and breech to ensure a smooth feeding and extraction of the cartridge. It’s also outfitted with a Bergara curved trigger we designed to guarantee a crisp, clean pull every time you fire the rifle. The trigger comes set at about three pounds. 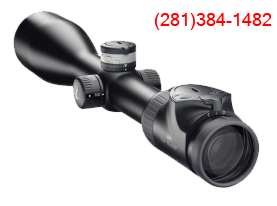 It has been factory drilled and tapped to fit Remington 700 style rings and bases. The (#3) Bergara 4140 CrMo steel barrel is finished in matte blue and is 24 inches in this short action, which weighs 7.05 lbs. Bergara stocks are bedded with integral pillars for stability and enhanced accuracy. During the molding process, solid steel pillars are inserted and permanently molded into place, providing a secure and stable bedding surface for the barreled action. The base color is green with tan and black flecks, providing a very tasteful camo look. A SoftTouch coating gives the stock soft, tacky feel that is easy to grip even in harsh weather. All B-14 rifles are capable of producing sub-1.0 MOA groups or less at 100 yards using factory match grade ammunition.